Mindscape in Words: Are You Living? The human body needs a heart and a brain to function whereas the kidneys, liver etc are secondary. If a person is brain dead or his heart stops beating, then that's the end of everything. Now that's the science part. I don't write a science blog. I write a thought blog, you can say. In my opinion, there are five major constituents that are crucial in someone's life, excluding which they are not alive. The five components which I believe in are trust, passion, hope, happiness and love. If you think over it, you may realize that my theory has some sense. Our lives are filled with innumerable events, countless people and infinite feelings. Humans can be cheery at one moment and absolutely raged the next. There is no way of predicting human behavior or the impact of environment on us. Such random changes in mood, trust issues, depression and craziness can come to an end if you practice this simple theory. All you have to do is ask yourself five questions whenever you are feeling down. Do you trust yourself and others? Are you in love with what you are doing or whom you are with? Let's take an example of your job. After graduation or post-graduation, many educated people are still clueless about their life. They never get the time to really think upon what interests them or whether it is all right to evade something that the whole world does. Many of them just take up whichever job they get and live with it forever. They don't understand or trust what they are doing. 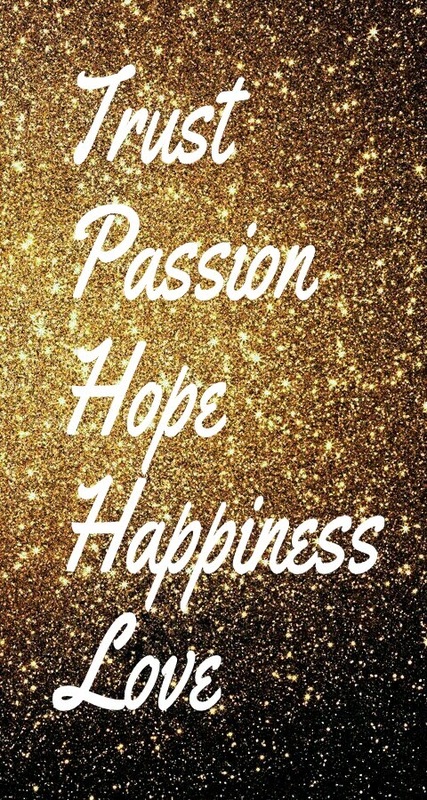 There is obviously no passion, happiness or love. There is just hope that something better will come along (which, to be honest, never comes.) So, what's the point? That isn't living. That is just surviving. Such depressing work force can lead to many sad psychological downturns. I understand that income is a valid point to stay but is it not better to find something that you are passionate about and earn from that? Loving what you do and doing what you love. That's the goal, right? And when you find something like that then there is guaranteed success! Another case is friendships or relationships. Obligatory hellos? Fake smiles? Awkward silence? Yes, these are the kind of things you go through around people with whom you are not comfortable or happy. Humans are sensitive and that is why you cannot just quit on them like jobs or objects. You can try to talk it out with them. If they are all right with your decision, then they will understand and let you go. If they really do care for you, then they will stick to you and make things pleasant for you. There should co-exist a bond of trust, passion, hope, happiness and love between family members, friends and lovers. Otherwise, what is the meaning of any relationship at all? Why to name it something when there is no exchange of feelings or thoughts? You can follow the five step mantra to evaluate where you stand in a relationship and understand yourself better. The last and the most important aspect where you can study this concept is, with yourself. You will have to consider external aspects such as your job,relationships and so on while doing this. Because, the things that are inter-related to you are the things that can make or break you. To decide that is completely within you. Do you trust yourself, your personality, your values and believe in them the way others think you do? Are you optimistically hopeful for your future and for what it has to offer to you? Are you happy with the kind of an individual you have become? Are you the kind of person that radiates happiness and spreads it around all the people surrounding you? Are you in love with your life? Are you in love with those people who make your life worthwhile? Are you living? Wow,I can see the passion and love with which you are writing. Nice to read all your blogs! Loved to ponder over those intrinsic points you have showcased! Extremely heavy. I don't even know what to think lol. Overwhelming. Great thoughts..and many of them I have been pondering as of late...yes a lot to think about! Thanks for sharing! Nice writing! These are my favorite kinds of blog posts...the ones that really make me think and re-evaluate my life, and delve into my soul. We only have one life and it can literally be taken from us at any second. It's important to step back and think, what am I doing with my life? Am I using my gifts in a positive manner to help others? Great post! This is a lot to think about. I've been seriously depressed in my life, and now I'm at a good place. But I've been lacking passion. I need to find it again! I like to think I'm living....based on your list I'd say I am! Thanks for sharing!